Is there such a thing as Peruvian fast food? In the US, fast food usually equates to McDonald’s, Burger King or generally junk food. In a country with so many food options, you might wonder why would you have Peruvian fast food when in Peru you can get delicious and healthy meal like Ceviche for about USD $5? Well, the answer is simple: because it taste good, it is healthy (for the most part) and you can find it everywhere! It is called Pollo a la Brasa. So, what is Pollo a la brasa? It is a chicken dish that is cooked on a rotisserie. It is also known as “Peruvian style chicken”, Charcoal chicken” or “Rotisserie chicken”. Nothing fancy so far 🙂 but let’s read further to understand why this Peruvian fast food is so popular. Pollo a la Brasa is one of the most popular and most consumed dish in Peru. This Peruvian fast food was developed in 1950 by Roger Schuler, a swiss resident who was living in Peru. He had a chicken farm near Lima that went bankrupt. To make ends meet and support his family, he started selling whole roasted chickens with the slogan “eat as much chicken over coals as you can for only five soles”. His tasty chickens and inexpensive price became so popular that he needed to cook the chickens faster. He contacted a Swiss friend, Franz Ulrich who owned a metal mechanics shop to develop a device to cook several chicken at once. 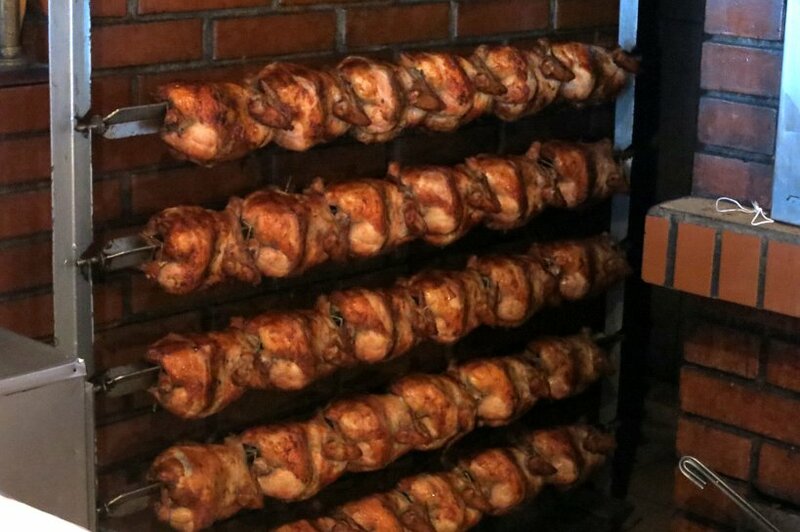 The “rotombo” oven or “speido” was invented which is an oven with 6 metal rods that can hold 8 baby chickens. The metal rods spin clockwise and independently at very high temperatures (300-370 degrees F). This method can hold 40 to 50 chickens at once cooking them uniformly while keeping the juices and flavors intact. With such success, Roger and Franz opened the original Pollo a la Brasa restaurant, La Granja Azul in Lima in the 1950’s. Seeing their success, many other pollerias started opening all over the city. Today, La Granja Azul remains popular and you cannot miss a Polleria as they are on every corner. The secret of the success of Pollo a la Brasa resides in its cooking method and marinades. Each polleria as its own secret marinade recipe. Besides a great marinade, the key to great Pollo a la Brasa is the actual cooking method. This involves a rotisserie over wood coals to give the chicken a sublime smoky flavor. The original recipe from La Granja Azul calls for the chicken seasoned with salt and cooked over carob tree firewood for the best flavors. The Peru National Institute of Culture declared in 2004 Pollo a Brasa a “National Culinary Speciality.” And as Peru knows how to celebrate its gastronomy, Pollo a la Brasa has its own National Holiday on the third Sunday of July. You generally don’t have to walk far in any Peruvian city find a pollería. There are smaller family-run restaurants as well as major chains. The main Pollo a la brasa chains are: Pardos Chicken, Las Canastas, Roky’s , Norky’s and Caravana. 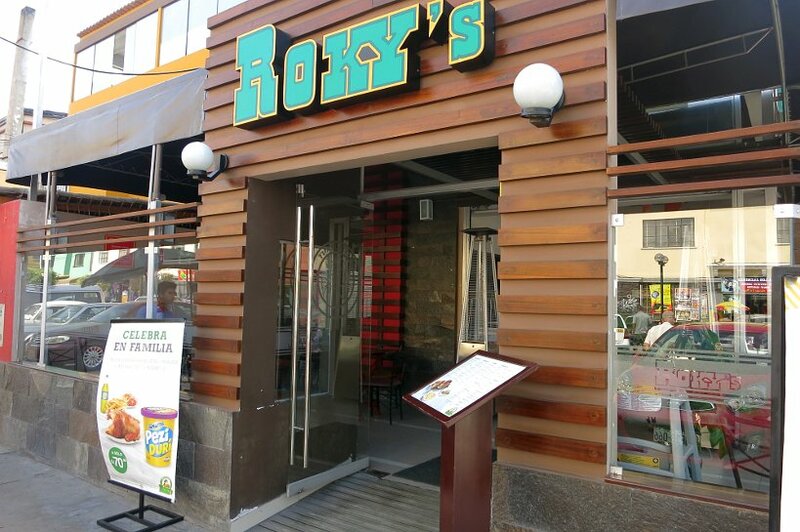 Norky’s and Roky’s are known to be the most successful chains. While Pardos chicken and Las Canastas are slightly more high-end. There is of course La Granja Azul the original, which remains an attractive and popular place. To try Pollo a la Brasa, we asked our gastronomy critic friend, Cecilia Morote and her friend Mae to take us to a restaurant of their choice, where we could have the most authentic and typical Pollo a la Brasa. It was a choice between Pardos Chicken and Las Canasta. They chose to take us to Las Canastas, which they said “had bigger chickens” than Pardos. Walking into Las Canastas is not like walking into a typical fast food joint. The particular restaurant we went to in the Miraflores barrio (neighborhood) was a large restaurant with seating for about 60-100 people. Once we got seated we looked over the surprisingly short menu.The chicken options were 1/4 of a chicken for about USD $5, 1/2 of a chicken for about USD $9 and about USD $14 for a whole chicken. We ordered one full chicken to be split 4 ways (“cuarto” one fourth), with the typical sides of papas fritas (potatoes) and salads. Pollo a la Brasa is so beloved in Peru and it is one of the most popular Peruvian fast food enjoyed by all. 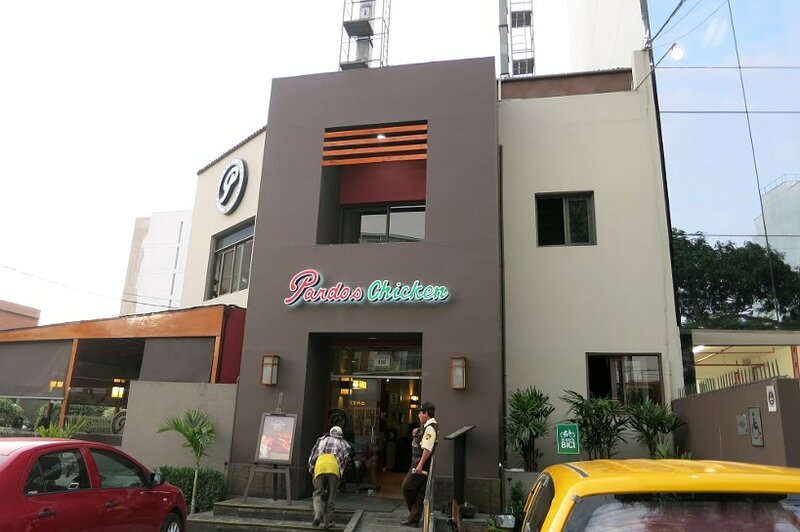 Going to a polleria is a very popular activity with many families getting together on weekends to connect over Pollo a la Brasa. Part of the appeal is that the restaurants are not fancy and eating the chicken with your hands is encouraged. 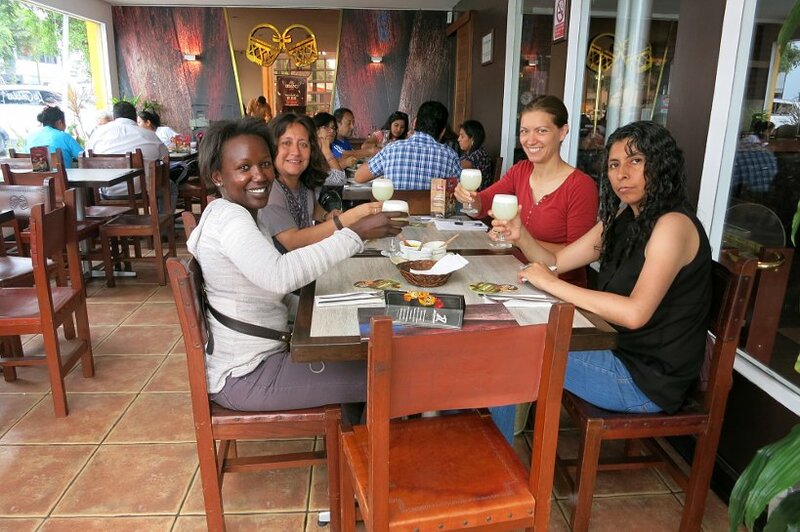 In a typical Peruvian fashion, we started out the meal with Pisco Sours while waiting for our chicken. Cheers to Pollo a la Brasa! Eating pollo a la brasa is not like eating any good ol’ chicken. There is a protocol that is followed and ‘must-haves’ around this Peruvian fast food. To drink, you start out with the Pisco Sour as we did. While eating the meal, one can choose to drink either Inca Kola or Chicha Morada (purple corn beverage). You can read about these drinks in our recent post 10 Unique Peruvian drinks to help you have a more local experience. To start, you get a simple fresh salad. 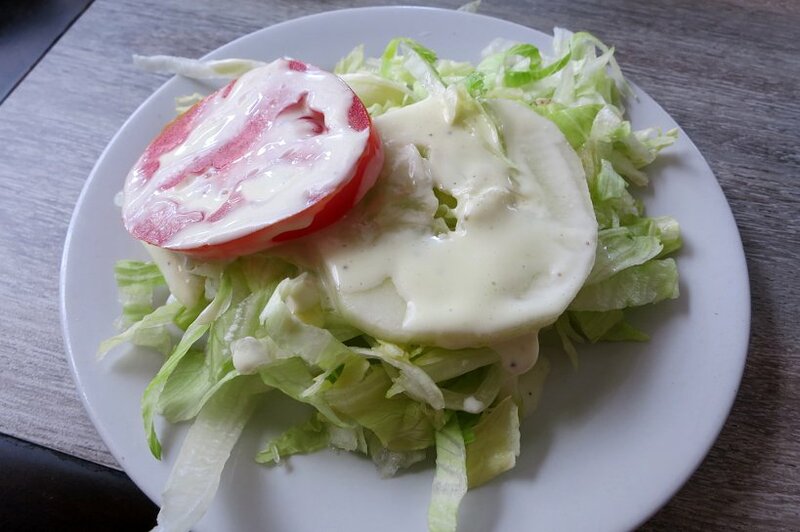 The one we had was made up of iceberg lettuce, tomatoes, cucumber with a creamy dressing. 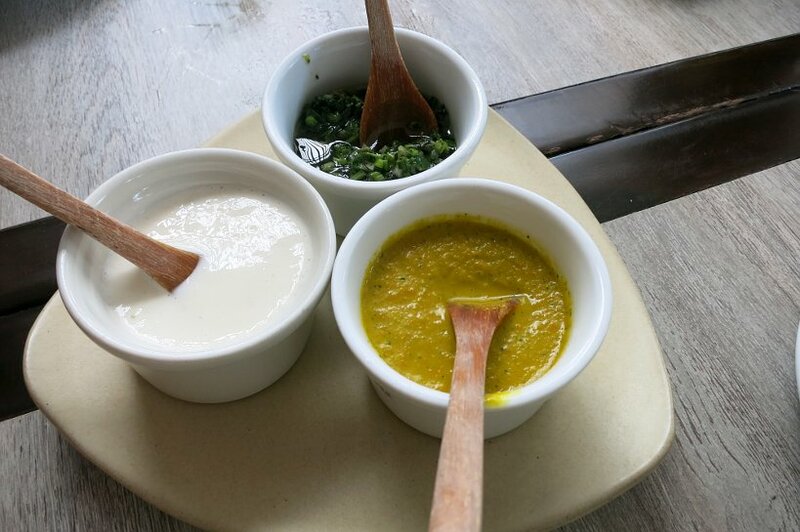 To accompany the meal, three different traditional sauces were proposed. Huacatay (black mint), Aji Amarillo (spicy yellow) sauce and homemade mayonnaise. The gorgeous chicken arrived on our plates with two different types of potatoes. Las Canastas proposed papas fritas (french fries) or papas andinas (native potatoes). We chose to order two serving of each and share. We would have to say that this is one of the most delicious chicken we have ever eaten. The herbs and spices coated the skin and it made it beautifully crisp as well. The chicken was rich with flavor and as juicy as you can imagine. Rosemary had the chicken breast (pecho) which can sometimes be dry. She was delighted to find the breast savory and well spiced. I had the chicken leg (pierna) which was fragrant and so succulent that the chicken meat was practically falling off the bone. With the high quality of taste and flavors, you could tell that the chickens were raised humanely in low stress environments. Pollo a la Brasa is not just “chicken” in Peru. It is Peruvian fast food that is now accessible and eaten by all. Originally, Pollo a la Brasa was for the Peruvians of high socioeconomic status. It wasn’t until sometime in the 1970s that the consumption came to include Peruvians of middle and lower socioeconomic status. If your travels take you to Peru, be sure to eat Pollo a Brasa. By doing so, you will not only enjoy the delicious chicken but also participating in a piece of Peruvian culture that was once reserved for the privileged few. We were really surprised at how tender and flavorful the chicken was and wish we had eaten more of it. We did learn that the success and popularity of Pollo a la Brasa is now beyond Peru’s borders. 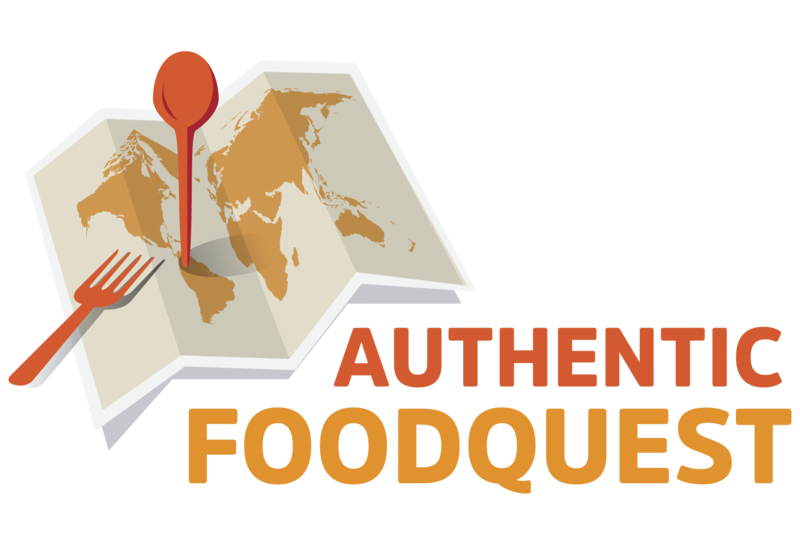 Now in addition to other countries in South America, you can enjoy this Peruvian fast food in the U.S. and Asia as well. Las Canastas, Av. Angamos Oeste 599, Miraflores, Lima. A wonderful list of delicious dishes to have. After seeing these i would really like to have these. Thanks a lot for sharing this. Nice work Claire. Hi John, so glad you enjoyed reading about this very popular Peruvian fast food. We certainly enjoyed discovering and (eating) the pollo a la brasa. Hope you have a chance to try out it out either in Peru or at a Peruvian restaurant near you. Let us know if you do. Cheers! That all sounds so delicious! Now I want to travel to Peru… this food looks amazing! Thanks Sara…the food in Peru is so good, it is worth the trip 🙂 Thanks for your comments! I really enjoyed hearing the interesting story about the pollo a la brass, as well as the tips for how to eat it. Peru is definitely the next country in South America on my list to visit! When I go, I will be sure to review your posts for tips! Hi Stella, that’s great that Peru is your next country to visit in South America. The food there is some of the best we’ve ever had. There is so much to choose from and everything is so fresh and tasty. Be prepared to eat lots 🙂 Indeed, please check back to the various posts we’ve written about the food in Peru. Have fun and thanks for your comments! Wowww… I should not be reading this before having breakfast 🙂 Great and helpful post! Peru is now on my list! 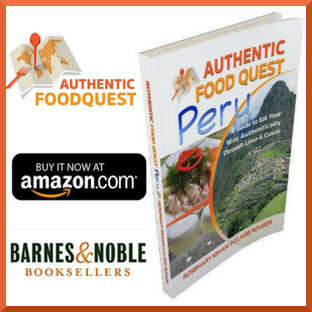 Hi Natasha, glad to hear that you enjoyed reading about the food in Peru. It is the gastronomy capital of South America and must be experienced 🙂 Please do check our site for more Peruvian dishes and let us know when you go. Cheers! 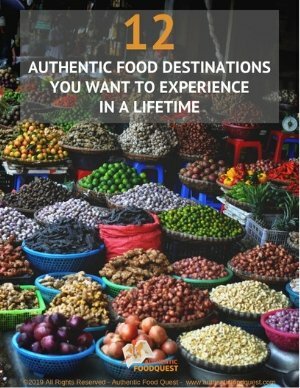 Love Peru and love your post about eating there. You did a great job describing the dishes and the photos are awesome. Thank you for sharing your experience. Thanks Christine for your comments and glad you enjoyed the reading the post. So happy to hear that you love Peru as much as we do. Did you try the pollo a la brasa? What did you think? Cheers! This looks so good! FAR superior to McDonalds or US/European fast food! You are so right Kat. The cooking techniques and the high quality chicken is incredible. Pretty amazing for fast food. Thanks for your comments. Mmm. *mouth waters*. I had this in Lima a few years back. It’s yum! Mmmm, *mouth waters*! I tried this in Lima a few years back and it was delicious! Thanks Samantha, so glad you enjoy reading our blog. Thank you. Yes, indeed the fast food is incredible. The pollo a la brasa is simply divine. The best we have ever had. Thanks for your comments. 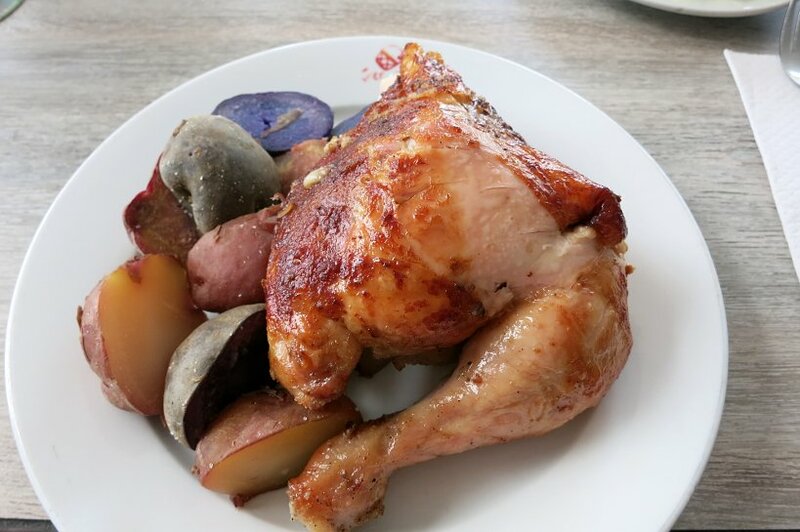 Nice post, i’m more excited to go to Peru because roasted chicken is my fave food in the world! You had an awesome experience and thanks for sharing it! 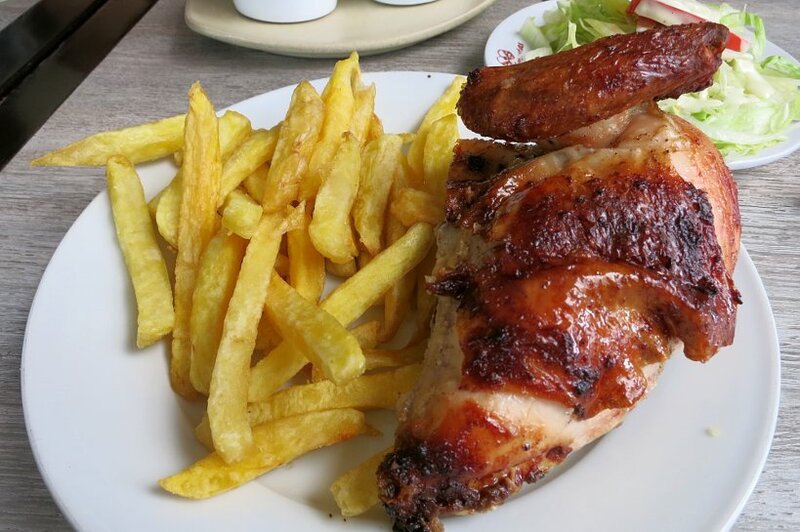 Hi Carla, please do let us know when you get to Peru and have tried this delicious pollo a brasa. It is absolutely outstanding and you will love it. Glad you enjoyed reading the post. Thanks for your comments. Hahah – yes there is fast food in every country – Usually we call it local food/street food. 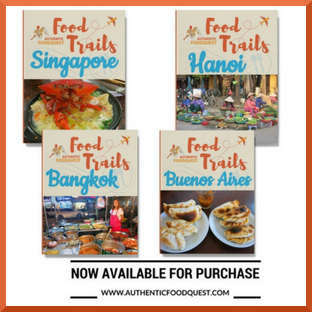 I love these Peruvian delights – I am pretty sure I will make it there one day to try em. The traditional sauces look amazing. Did you find vegetarian friendly options as well? Everything looks so good. Sounds (and looks) so delicious! Thank you for making me drool. I love the explanation too – learned a lot, thank you! Thank you so much Beth for your response. Glad you learned a lot and drooled too 🙂 This is incredibly delicious fast food 🙂 Cheers! That sounds amazing! I really want one with papas fritas now… Great article! 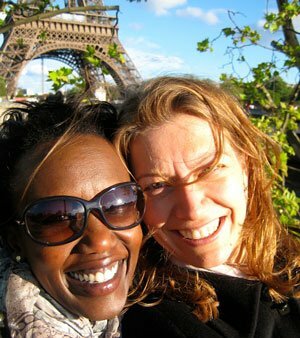 Thanks Penelope for your comments. The papas fritas especially the ones made with the native potatoes are to die for!!! Glad you enjoyed reading the article. We have a place here in Scottsdale where the Rotisserie chicken is to die for. But after reading this, the Peruvian chicken sounds like it may be a challenger! The Las Canastas sounds like the perfect stop while in Peru. The purple corn drinks sounds very interesting as well. We’ve got to get there! Peruvian pollo a la brasa is simply amazing and stands above most rotisserie chicken places. Curious about your place in Scottsdale, though 🙂 La Canastas is worth a visit in Peru and the food, in general, is worth discovering. Thanks for stopping by. We have never been to Peru so I was interested to see what the local food was like. The roasted chicken sounds and looks good. Thanks for sharing the ritual for eating. I would definitely try the Pisco Sour. Not sure about the purple corn beverage though. We would definitely stay away from the spicy sauce. I am now craving chicken! 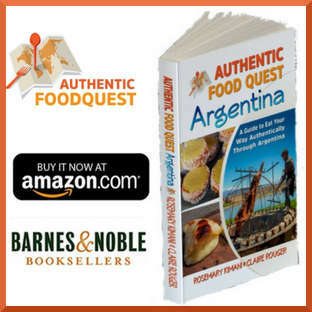 So glad you enjoyed reading and discovering Peruvian food. 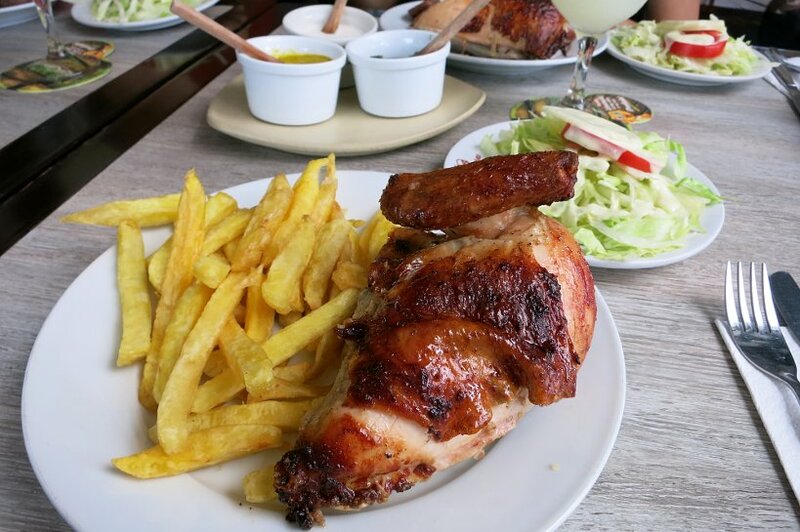 Peruvian food is amazing and pollo a la brasa is just one delicious expression of the diverse food. If South America is on your travels plans, we highly recommend visiting Peru. Thanks for stopping by! I love roasted chicken so this would be a special treat. I also love trying different types of sauces so it is fantastic that they give you a variety of sauces to choose from which is a big plus for me. I have never tried Peruvian cuisine so this has been an informative post for me. Pollo A La Brasa looks pretty awesome even though it is basically roasted chicken. Thanks for listing the best places to try it, the traditional sauces, salad and the juicy chicken at Las Canastas appeals to me the most of all places! Peruvian food is exquisite and worth discovering. In my (humble) opinion, the food alone is worth a trip to Peru. Visit for a Peruvian restaurant in your area and you’ll see what I’m talking about 🙂 And if you make it to Peru, La Canastas is a must! Haha, I wouldn’t call it healthy food but it sure tastes great! Did you know that the Bolivians have the same national fast food favourite? Everything in moderation, right 🙂 Had no idea chicken is the Bolivian national fast-food favorite. Wonder if it’s cooked the same way…hummmm! Do you know? Lots of good looking chicken dishes. We are not familiar with Peruvian food and never really thought of any uniquely Peruvian dish but this, as well as the country itself, looks very tempting. If you haven’t tried Peruvian food, you are missing out 🙂 Visit a restaurant in your local area and be prepared to be amazed. Even better, a trip to Peru, just the for the food is worth it!! Thanks, Marcus and Mel! Pollo a la brasa sounds delicious! I completely agree that it seems a shame to eat American fast food in countries that have wicked cheap, super fresh, street food that’s super fast. However, this doesn’t sound too unhealthy by any means. I love that so many places serve up this staple with their own twist. You are so right, Paige. It’s a shame when tourists eat American fast foods when there are so many local, healthy cheap options available. Indeed, the twist to chicken dishes in different countries is interesting to explore. Appreciate you stopping by! I would LOVE this!! Local twists on roasted chicken are some of my favourite travel meals – probably because they make me feel virtuous after eating so much stuff from local bakeries! Lol…Vanessa, local sweet treats, and savory roasted chicken is the perfect combination. Cheers and thanks for stopping by! 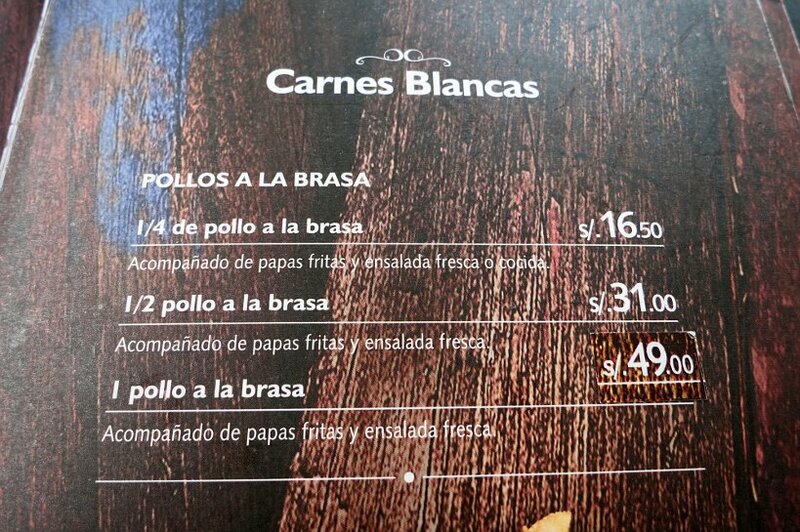 Peru really is known for its cuisine, but I don’t even think I tried Pollo a la Brasa when I was there. My bad. I think I was eating too much of that $5 ceviche. With it’s exceptional marinade the roast chicken sounds like it would be a great fast meal, with maybe a pisco sour or two. I love Peruvian food! Your pictures really made me hungry! Great post. Great to have another Peruvian cuisine fan! So glad you enjoyed the article. Cheers, Karla.